It is around the concept of the core self that psychology crosses paths with the brain and body. In the first line of his book, Awareness through Movement, Dr. Moshe Feldenkrais states, “We act according to our self image.” The development of the self is grounded in kinesthetic experience; our movement, interwoven into the fabric of our self image from the beginning of our lives plays an extensive role in how the nervous system coordinates a coherent sense of self through the life span. An eating disordered relationship with food is indicative of a pathological relationship with the self. The eating disorder dissociates an individual from him/herself; recovery marks a re-association with an otherwise estranged and ostracized core, re-establishing self acceptance, self respect and self-reliance. By upgrading the function of brain and nervous system, the Feldenkrais technique brings individuals in “emotional exile” back to themselves, and to their loved ones. The Feldenkrais work expands the discovery of unrecognized feelings, of different options for taking action, and of alternative thinking that leads to more creative and effective problem-solving. Through this technique, “black-and-white” thinkers begin to recognize shades of gray. Anxiety held in contracted muscles melts away, as do harmful compulsive and habitual behaviors and attitudes, to be replaced by “can do” feelings of empowerment. 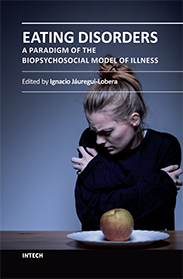 Hard-to-treat patients who have suffered from eating disorders, disordered eating, body image disturbances and mood disturbances for decades report relief from compulsivity in behaviors and thought, diminished depression, and a new-found capacity for self-determination and self-control. Through gentle movements that reorganize the skeleton while accessing brain connections and the nervous system, patients who had no previous self-awareness or self-control prior to or during a binge/purge episode report a new-found sense of awareness, leading to self control, and self-determination; along with that, comes access to new solutions to old problems. One of my group participants who has been a long-term addict and who has lived a life dictated by compulsions stated, “If I can make these (bodily) changes happen, why would I not be able to make changes happen in other areas of my life?” A bulimic compulsive runner described gaining enough self-awareness during her brutal daily 10 mile run to begin to experience how her feet feel as they hit the pavement, how she breathes when she runs, how she feels about enduring the pain of her daily routine. This woman was ultimately able to see that she, not than her disease, has control of deciding if, when, how far, and how long she will run. Feeling increasingly empowered in her ability to make choices, this young woman not only chose to stop purging and to minimize her exercise, but to return to graduate school and undergo a career change. Another member of my combined treatment groups discovered a shift in her thought processes following a movement lesson that essentially reorganized her nervous system along with her body; where she initially viewed herself as sick, and her behaviors and attitudes as abusive and excessive, she was now capable of reframing her behaviors to match a new vision of herself as an “athlete” needing food, responsible self care, and balance in her daily lifestyle to support optimal athletic function. A bulimic woman, sick for 15 years, reported that she retains the positive effects of the Feldenkrais Method for fully five days following group sessions; as the feelings of self-control and well-being begin to dissipate, she finds herself looking forward to recreating the sense of emotional and physical well-being she experienced through the weekly meetings. Here again, we see an interesting parallel to the work of psychotherapy, where, within the context of the normal emotional, physiological, chemical and hormonal ups and downs of daily living, people seek to create, and then re-create, mood stability and a sense of emotional well-being as it is perpetually lost. In still another parallel to psychotherapy, the Feldenkrais Method provides the opportunity, environment and permission people require to seek out and discover, by and for themselves, different and better ways to behave and feel in the context of daily life. Eating disorder group therapy is available to individuals seeking the integrative, experiential mind/body work of Anat Baniel Method© / Feldenkrais Method©. This form of somatic education, when used as adjunct treatment in combination with more traditional approaches, by providing integrative movement with attention, enables autonomous shifting out of old habits and into useful new ones. It facilitates learning “from the inside out;” enhancing sensory-awareness and re-integrating neurological function that goes far to re-create a core sense of self. 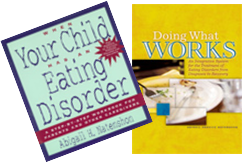 (Read Abbie’s article, The Feldenkrais Method © and Anat Baniel Method © in the Treatment of Eating Disorders, published in the Feldenkrais Educational Foundation of North America SenseAbility Newsletter,Spring 2011, pages 8-9.